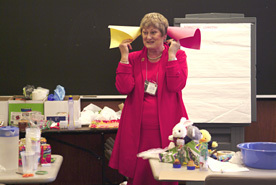 Sue Dale Tunnicliffe demonstrates how animal ears funnel sound. DreamCatching has really caught on with teachers working to keep children interested in science and math. Ed Galindo, of Idaho State University, is a member of NASA's teacher astronaut program in the U.S. He gave a workshop on what he called “cheap science," and Sue Dale Tunnicliffe, from the University of London, showed fellow teachers how to teach the physical science of animals to very young children. 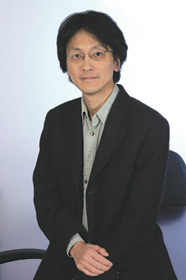 Fusion is the first word that comes to mind when referring to Sha Xin Wei. Not only does his research look at the interplay of art and science, but he recently became Concordia’s first Canada Research Chair (CRC) to be jointly appointed by two different faculties. Happy 25th birthday, Science College!